Cashculator - The Smart Financial Spreadsheet! Easily plan and track your finances with Cashculator. Do you care about your financial future? Keep track of your cash flow to make smarter financial decisions and reach your financial goals by planning your future. Tired of complex personal finance applications? Cashculator is the simplest way to manage your finances! 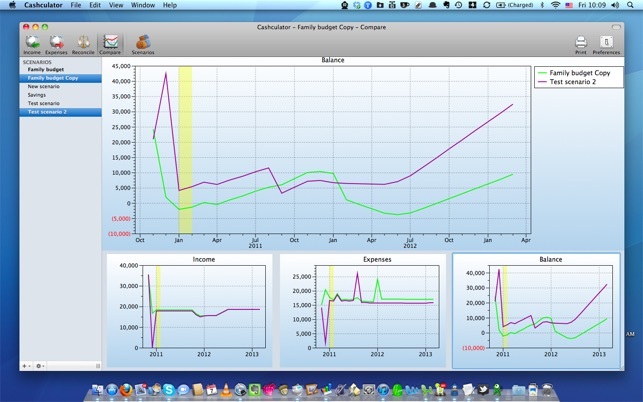 Cashculator is not yet another personal finance application. It is different from other applications which are complex and focus on past transactions. 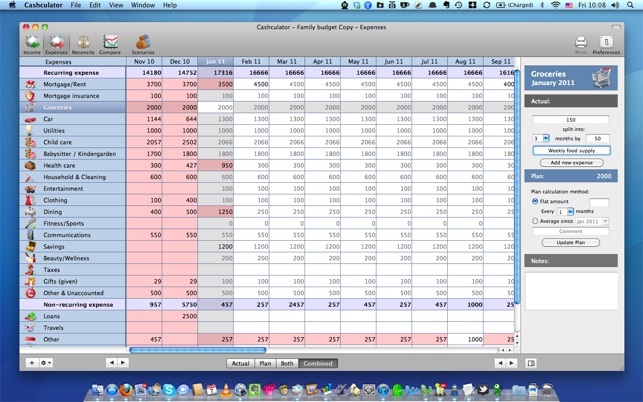 Familiar spreadsheet concepts make Cashculator easy to use, visual and straightforward. There is no need to define your accounts and configure the application, no complex dialog boxes, no credits, debits or portfolio management. Just simple numbers: income and expenses. You will become an expert user in no time thanks to the interactive tutorials that will teach you every aspect of using Cashculator. 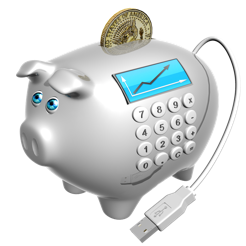 Cashculator is not designed to maintain a detailed, daily records of their spending. Instead, it is designed for people who want to have a fast and easy way to keep track of their budget. 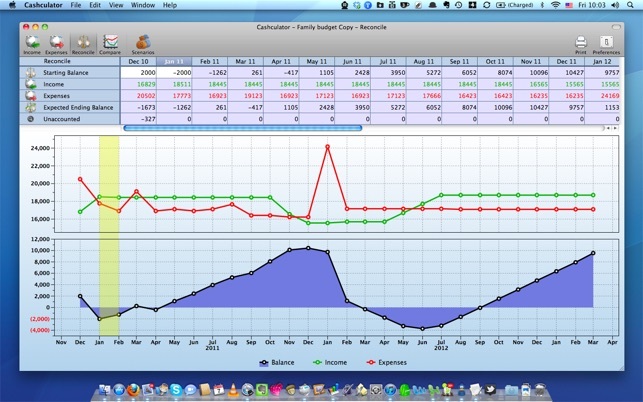 Cashculator is the simplest way to manage your finance - easier than a spreadsheet. 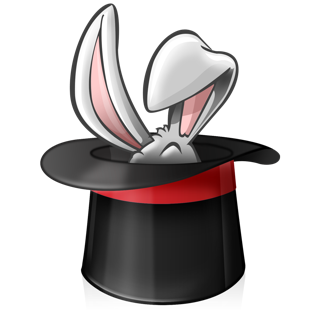 Cashculator is available in English, German, French, Italian, Portuguese, Norwegian, Russian and Japanese. We purchased this for keeping track of our budget now that we are retired. It is simple, quick and gives a good overview of how we are spending each month. The biggest drawback is not being able to print the income or expense pages. 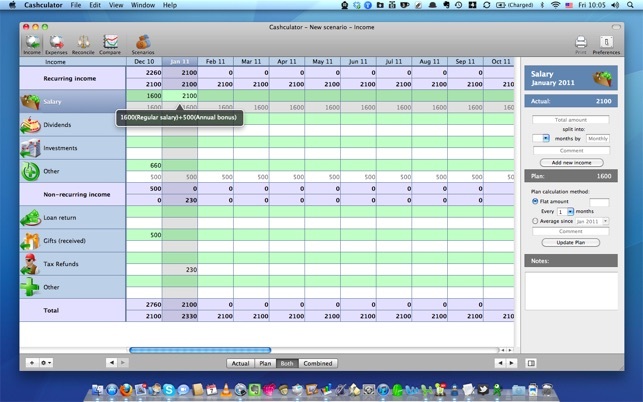 If you are not savy in accounting or technical spreadsheets this is the right choice for you. The cost is also very affortable. I had issues with updater (my not understanding how to do it). Jacob from Apparent Software got back to me immediately and helped me get it straight. I love this application. Simple to use and everything I need to keep track of what I spend. 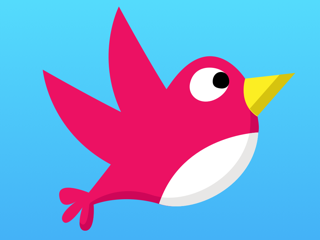 © 2009 Apparent Software Inc.